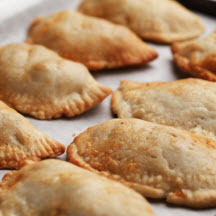 CooksRecipes has quality, kitchen-tested recipes for a variety of empanadas, mini calzones, mini turnovers and more that are perfect for parties and entertaining. Calzones, a pizza pie "turnover", come in miniature versions in this recipe, making for a quick and delicious meal or snack any time of day. 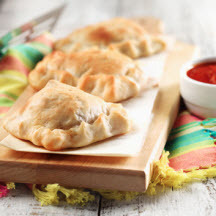 Try baked empanadas for a healthy alternative to the traditional deep-fried version. 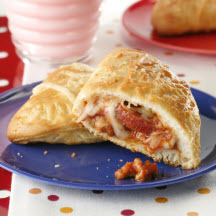 These tasty pizza pockets are easy and fun for kids to prepare using refrigerated biscuits. They make great party food, too!